Will Paytm Mall’s new wholesale biz help it catch up with Flipkart, Amazon? Paytm Mall is moving to take greater control of inventory on the e-commerce platform as it looks to bridge the gap with rivals Flipkart and Amazon. The company has set up Paytm Wholesale Commerce Pvt. Ltd, a wholesale business-to-business (B2B) unit, shows data on the Ministry of Corporate Affairs (MCA) website. The entity was incorporated on September 20 with an authorised share capital of Rs 20 crore and paid-up capital of Rs 20 crore. Paytm Mall, which is run by Paytm E-Commerce Pvt. Ltd, currently operates on a pure marketplace model, serving merely as a platform for buyers and sellers without storing goods. The new entity means it will now directly procure goods and sell them to vendors on Paytm Mall. Alternatively, Paytm Mall could also offer items on its site through a step-down subsidiary along the lines of Flipkart’s WS Retail and Amazon’s Cloudtail and Appario Retail. E-mail queries sent to Paytm Mall seeking more details about its wholesale business did not elicit a response till the time of publishing this report. With the new entity, Paytm Mall is adopting a strategy earlier deployed by Flipkart and Amazon, which both set up B2B wholesale arms to scale up rapidly. Most independent estimates put Flipkart and Amazon neck-and-neck as leaders in the Indian e-commerce market, with Paytm Mall far behind the duo. 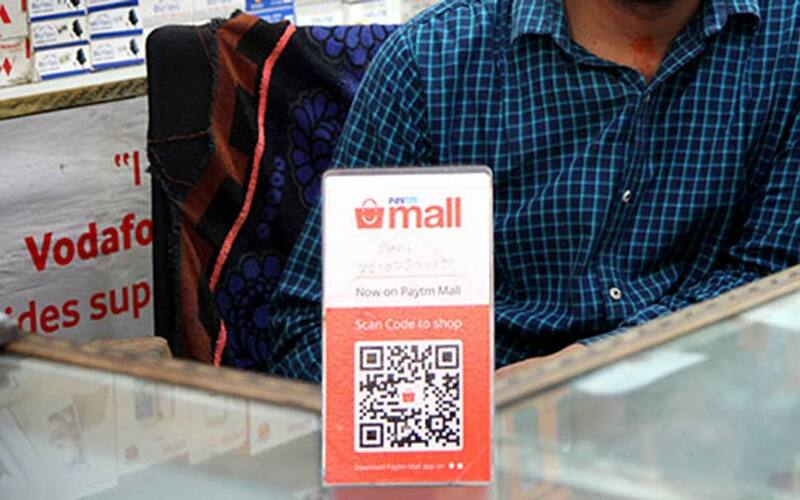 Industry experts say Paytm Mall’s latest move is a necessity that will help boost business by increasing its sales volumes. Amazon and Flipkart have long moved away from the gross merchandise volume (GMV, or total value of goods sold) game and have placed more emphasis on better customer experience. This includes offering faster deliveries, consumer rewards and loyalty programmes such as Amazon Prime and Flipkart Plus. Gaining greater control of inventory via its wholesale entity could help Paytm Mall on these fronts. A wholesale arm will also help them match the competition in terms of offering better quality products while also controlling the pricing. The association with Chinese e-commerce giant Alibaba — a majority shareholder in Paytm Mall — potentially gives it a natural edge in sourcing products at cheaper prices. Industry observers are of the view that Paytm could leverage Alibaba’s massive seller base to procure products in bulk from China. “This will eventually help in the volume game. Logically, that should also be one of their ideas or rationale behind launching this entity,” Meena said. The eventual aim would be to get Chinese sellers list their products directly on Paytm Mall. However, this might take some time. “As of now, Paytm Mall doesn’t sell enough in volumes for Chinese sellers to list their products there. For now, the new wholesale arm could do that,” Meena added. Experts say Paytm Mall will also have complement its wholesale and payment units with a dedicated logistics arm, either by starting one from scratch or by acquiring an incumbent. It is not clear whether Paytm Mall has been planning anything in this regard. Alibaba, however, earlier this year made an investment in logistics firm Xpressbees. Meanwhile, Paytm E-commerce Pvt. Ltd announced a fortnight ago that it had recorded operating revenue of Rs 744.1 crore for 2017-18, up from Rs 7.16 crore the previous year. The e-commerce arm earns revenue from services fee from merchants as well as advertising revenue, as per the information available from its filings. The operator of Paytm Mall recorded a net loss of Rs 1,786.67 for 2017-18, compared with Rs 13.63 crore the previous year. This was the second year of operations for Paytm Mall as an independent identity after a restructuring exercise in 2016.